With its vast experience in motorsports, Sabelt has designed and engineered technologically-advanced products in collaboration with race teams and automotive manufacturers. Designed by Sabelt Style Center, the company’s line of sport buckets seats stem out of this very same philosophy. These monococque seats, designed and produced by Roberto Fusina, are suitable for both track racing and road use. The seats feature a carbon and fiberglass shell produced by a Resin Transfer Molding (RTM) process. 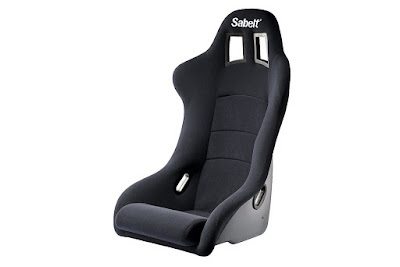 With four sizes available (M, L, XL, and XXL) and consequently two different nominal shell sizes, all Sabelt seats are fully adaptable to most vehicles. Equipped with a release and forward-tipping lever, the backrest embodies the headrest and shows the typical slit for the passage of four-point safety harnesses. Though known as a supplier to the world’s most exotic marques, this line of FIA-regulated seats are certainly much more affordable with prices starting at P 23,500. Sabelt is distributed in the Philippines by Auto Performance.